‘Flying Colours’ was Chris De Burgh’s 9th studio album. It was released by A&M Records in 1988. The song ‘Missing you’ was subsequently taken from the album and released as a single. It reached the Top 5 in the UK, peaking at No. 3 and in Ireland it reached No. 1. 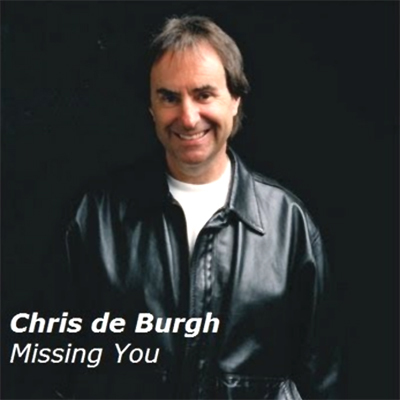 De Burgh was born 15th October 1948, his birth name was Christopher John Davison. During his carrer he has had several top 40 hits in the UK and two in the US, but he is more popular in other countries, particularly Norway and Brazil. He is most famous for his 1986 love song "The Lady in Red" (Carillon Studios Style Number ROL1041), which reached number one in several countries. De Burgh has sold over 45 million albums worldwide.